Minos is a nation of the Golden Circle on Road to Amber, a MUSH inspired by Roger Zelazny's Amber series of novels. All newcomers interested in Minos should first check out the very helpful one-pager posted on that site. The prop controller for Minos is Maereina. For those familiar with Minos, it is worth noting that while Minos is most famous for its sailors it is not solely, or even primarily, a nation of pirates. 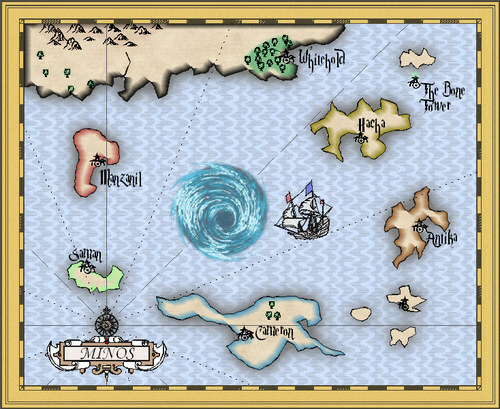 Certainly, Minos' public face is defined by its sailing men and women, whether they be respectable merchants or hard-bitten pirates. 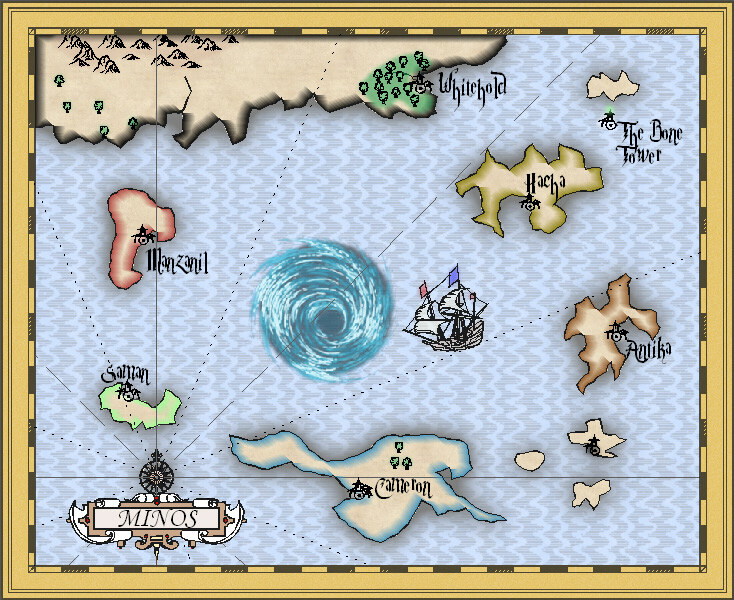 More than any other nation save Amber, Minos' ships ply the shadow seas as they will and it is by travel and trade that Minos has become wealthy and powerful. Still, the majority of Minosians remain in their homeland, as craftsmen, laborers, merchants, politicians and the like. The shipbuilders of Minos, in particular, are unequaled in their craft (despite protestations to the contrary from House Chantris of Amber).